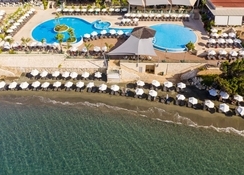 The Royal Apollonia is situated along the coast of the beautiful region of Limassol. A car journey from Larnaca International Airport takes about an hour. The Royal Apollonia is conveniently located right on the beachfront, where a short stroll is all it takes to make it to the fine golden sands of the beach. You could easily spend all day lazing under the Cypriot sunshine and wading in the warm Mediterranean Sea, however, Limassol offers plenty of things to see and do. These include historic attractions such as Limassol Castle and Amathus Archaeological site and Limassol Zoo, which will entertain all the family and also features a children’s playground. Finding great places to eat out is easy as just on a short walk you will encounter Lebanese, French and Italian restaurants among others. Rooms at The Royal Apollonia are elegantly decorated and very comfortable and the hotel has all the facilities and conveniences you will need for a memorable stay. 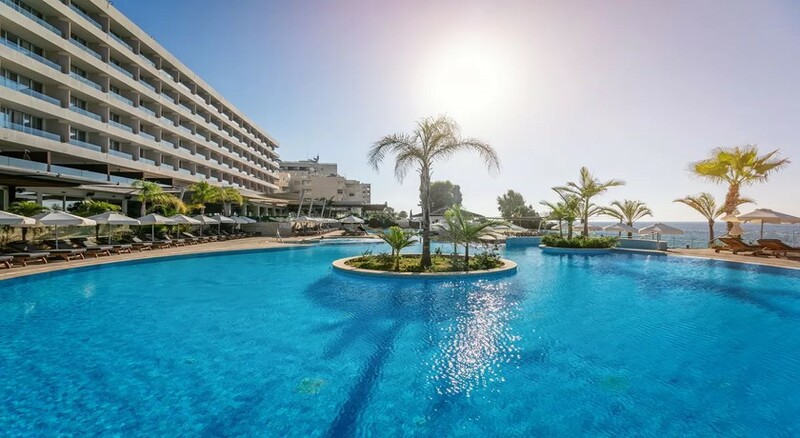 The Royal Apollonia is situated 77km from Larnaca International Airport and can be found on the beachfront making getting down to the beach take no time at all. 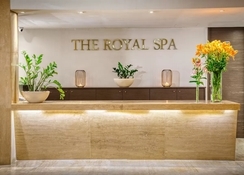 The Royal Apollonia is located in along the central coastal region of Limassol where accessing conveniences such as restaurants, bars, cash points and shops is quick and easy. Numerous attractions can be reached via short car journeys. For instance, Limassol Zoo is just a 10-minute car ride away and Limassol Castle is just 2km further on and takes only 13-minutes to get to. The rooms and suites at The Royal Apollonia are a pleasure to stay in. Whatever type of room you choose to stay in you can be sure will be beautifully designed and comfortable. Rooms and suites come with all the essential amenities for a relaxing stay such as air-conditioning/heating, safe deposit box, wi-fi, TV and much more. Superior rooms sleep up to three guests and feature twin beds though a King size bed can be requested. Four-bedded rooms are larger and can sleep up to four people. For a romantic stay for couples, there is the Honeymoon suite and even more luxurious are the Executive and Deluxe Suites that are very spacious with large living areas to spread out in. 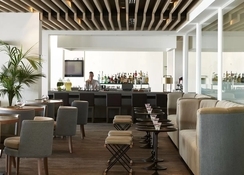 The Royal Apollonia has several great places that make for a wonderful dining experience. Dionysos Restaurant is the main restaurant and serves both international and Greek specialities. It has daily buffets with a different theme every week such as Italian and Mexican. The Japanese Restaurant, Akakiko Japanese serves authentic Asian cuisine and has an outdoor seating area where guests can enjoy views over the Mediterranean Sea. In addition, there is a Meze restaurant as well as two bars. Around Limassol itself, you’ll find more great options such as fresh seafood at Ocean Basket, French cuisine at La Maison Fleurie and Lebanese at Diwan to name but a few of the options. There’s no shortage of ways to stay active and entertained at The Royal Apollonia. Guests can choose from one of the two pools, one outdoor and the other a heated indoor pool. Burn some energy at the tennis or squash courts. Alternatively, you can rest and relax on a sun bed or at the spa with a massage, or in the sauna or jacuzzi. Around Limassol, great family fun can be had at Limassol Zoo or learn about some of this region’s history at Limassol Castle and Amathus Archaeological site. Or take a walk down Molos Promenade which stretches out into the Mediterranean Sea. Reservations required for massage service and spa treatments.